About a year ago, the owner of an office equipment dealership rang me up asking for advice. His largest "managed print services" (toner) account was being threatened by an IT company offering a full range of IT services including supplies and service delivery on 'his' printers. He was in a panic. Like dozens before him, he wanted somebody to say it was going to be okay; that what he was doing today, "building long and deep relationships with his customers", providing "the best service at the lowest price", was enough to save the patient - his 20 year old, $5 Million, family owned business. I told him to change. I told him hope resided in a future with fewer technicians and reduced overhead. I repeated the "change your business model" mantra, begged him to exit toner delivery and get into the IT side of the world. I offered contact information at Collabrance; urged him to reach out to a little know company called PrinterLogic and talk to his customer about reducing costs by eliminating print servers. Of course I proposed taking a quick look at his operation, give some basic recommendations and make the necessary connections for him to explore - all for a poultry $2,500.00. No warranty or money back guarantee, but for the price of a trip to ITEX, he could have gained a fresh perspective and possibly made some profitable connections. I have no idea if his business still feeds families or drifts on the waters of denial. Here we are on the edge of 2016. 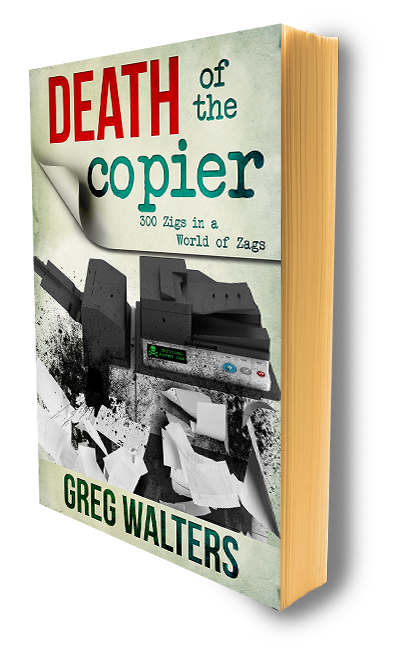 The copier industry insists on fooling itself into relevancy as small dealers are gobbled up and bigger ones sell out to investment groups. The OEMs? Splitsville. Today, if you were to ask, "Greg...what the hell can I do now? I've social media'd up my company, I'm first in google search, but MpS flopped, managed IT services is not working and the only people buying copiers are schools, churches and the government!" 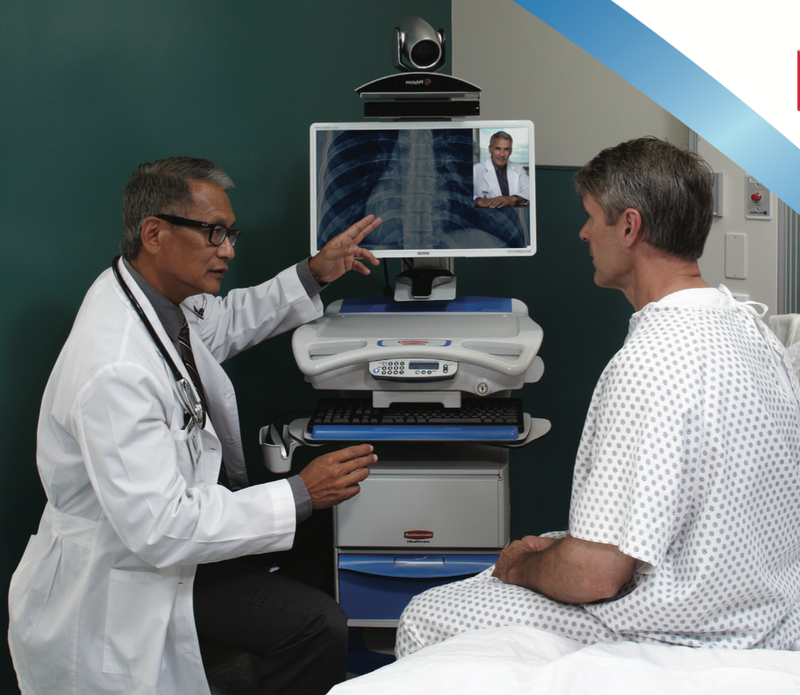 One word, kid - "TeleHealth"
I'll let you do the googlitizing. The fastest growing area for technology and monthly recurring revenue is the healthcare arena and has nothing to do with printers or copiers. I'd think about assembling and supporting connected, healthcare devices. It's connected, contains technology components, requires assembly, and clients might pay for 24/7 monitoring and service. Relevant. Expanding. Service based. Assembling and supporting connected, healthcare devices. I'm going to have to look into that. I agree the future is management of connected devices. The Internet of Things is Coming.